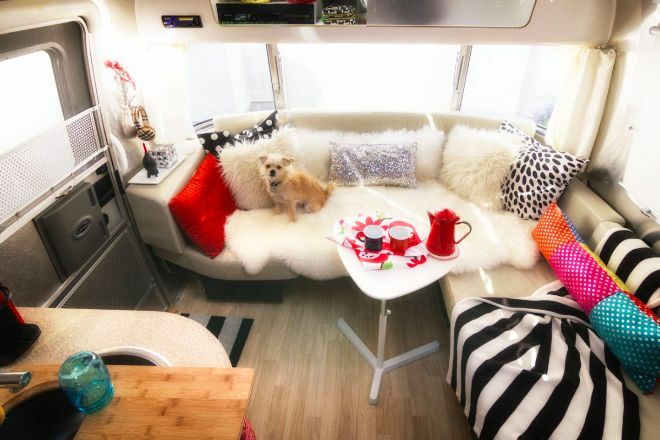 There are some amazing Airstream renovations out there - and this is one of them. When you step inside you're surprised with an ultra-modern design, pops of color, and incredible attention to detail. Each and every inch of this space has been thought of when it comes to design and storage, and it really shows. The renovators have kept it minimalistic with the shell of the design. The kitchen is a beautiful dark gray, and the floors are a stunning light wood - but this is what allows for all those beautiful colors, stunning fabrics, and quirky elements. 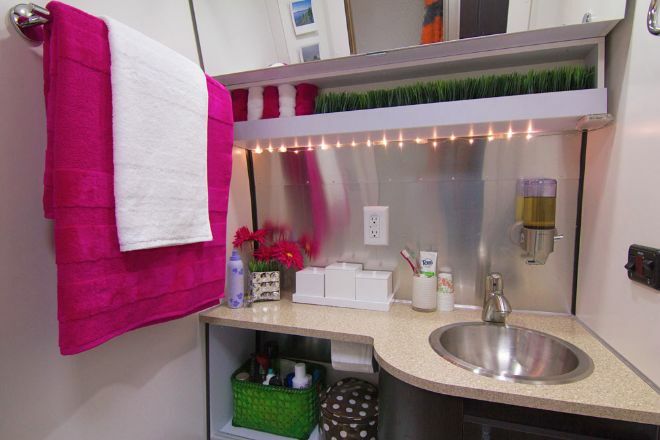 Take the tour of this renovated Airstream and check it out for yourself. 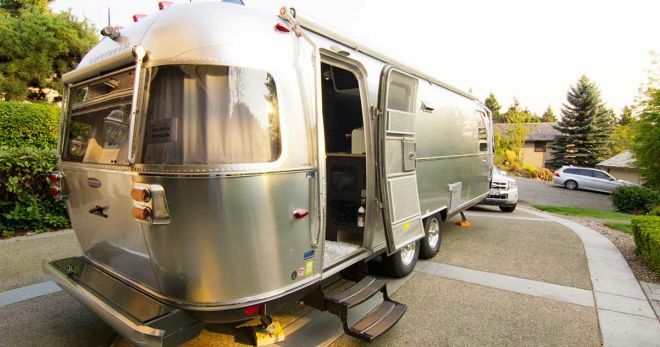 The outside of this Airstream is as classic as it gets. We love how despite being vintage - the exterior looks just as shiny and new as it did the day it was rolled off of the assembly line. Inside you're welcomed into a modern, colorful, and playful space. We love how the fixtures, and kitchen are this beautiful dark gray - and how the bright colors pop out against them. This kitchen puts the fun in functional. 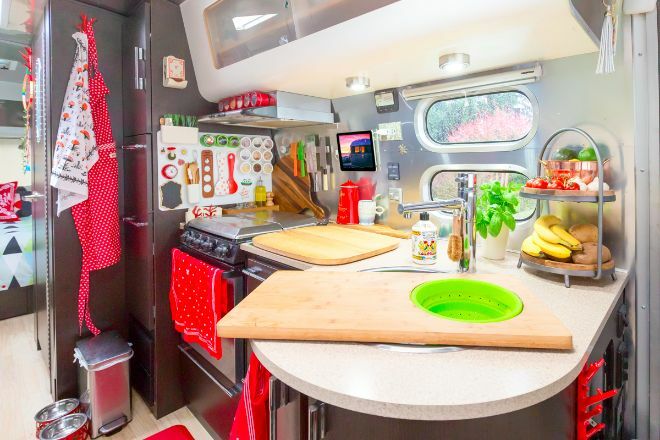 Besides being designed with a bunch of color and a bit of whimsy, this kitchen has a great stovetop, fridge, and sink with a window for a view. The kitchen work station is optimized brilliantly, between the tiny dish rack set to hang above the sink, the covered stovetop, and the snazzy ultra-modern cabinetry up above. 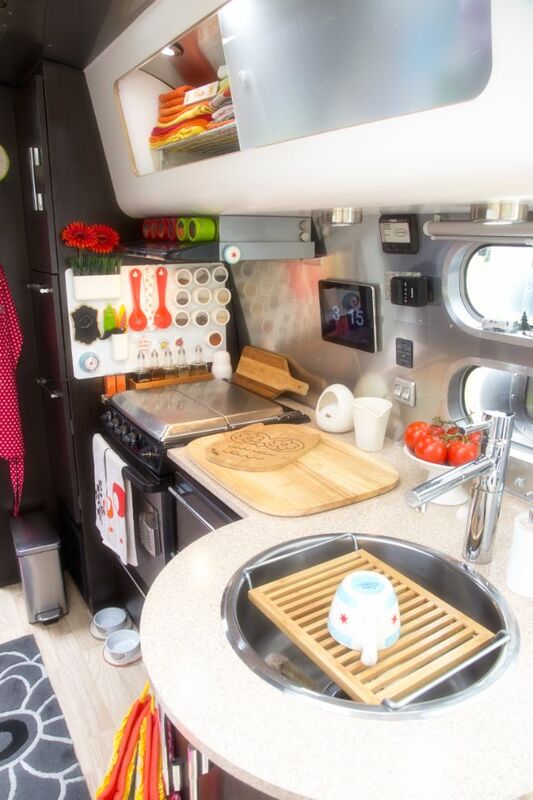 A spot to hang up the tablet on the wall allows for a great hands-free cooking assistant, making this a kitchen to rival with the most professional ones out there. We love how this already stunning couch has been amped up with fluffy and furry blankets, and funky, fun and colorful pillows. The bathroom is just as modern and efficiently decorated, with the soap dispenser and the tiny towel shelf above. 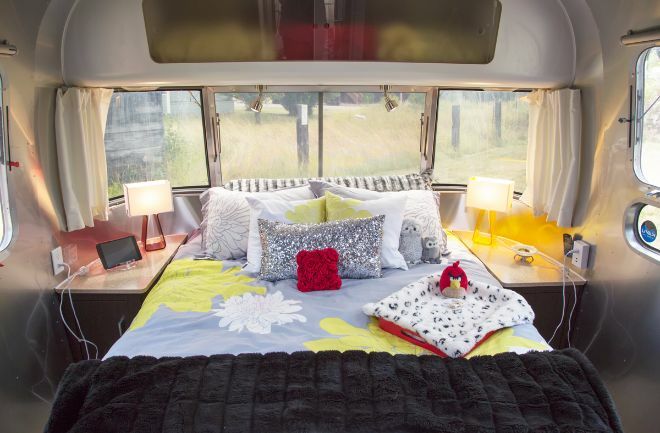 This bedroom is so gorgeous you might forget you're even in the back of an Airstream trailer. The bed is massive, there's wonderful little side tables, and there's big beautiful windows that reflect tons of natural light on the shiny metal walls. 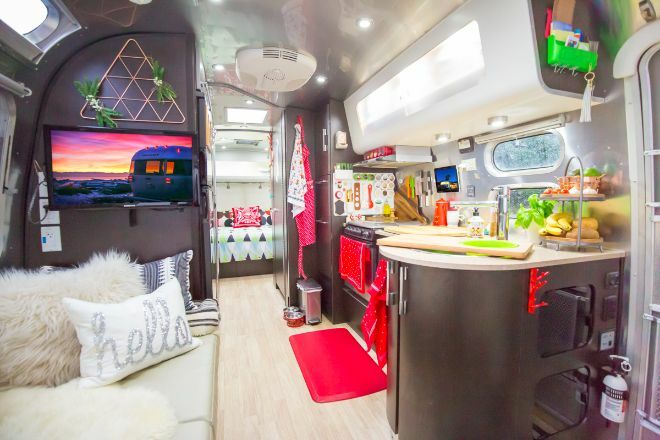 Have you fallen in love with this fun, modern Airstream renovation? Share it on Facebook, Twitter, and Pinterest.